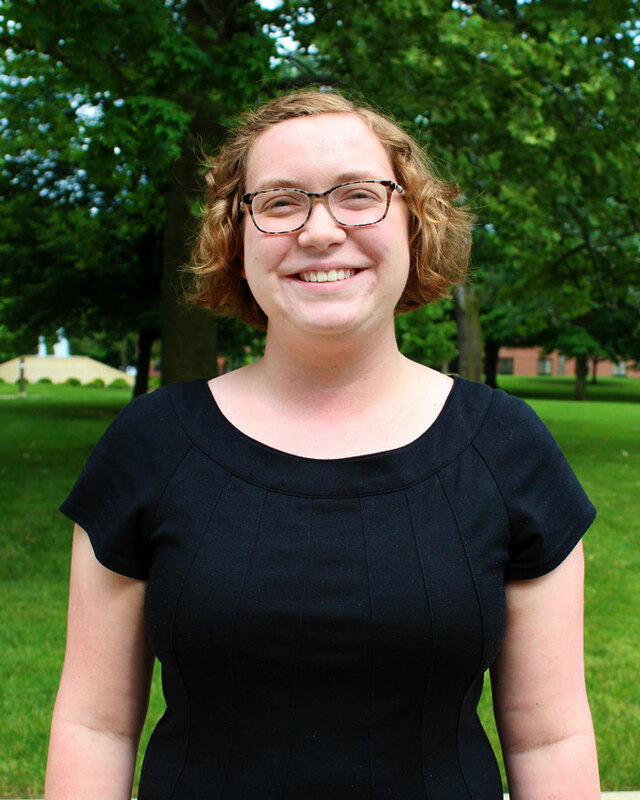 Nicole Manges joined the University Relations staff as the Staff Writer/Project Manager in June 2018, shortly after she had graduated from Huntington with a degree in English literature and writing. She uses her training as a writer to generate and revise content for Huntington University’s magazine, promotional materials, website, and other media, as well as coordinate University Relations projects. As a student, Nicole worked for three years as the assistant to the Campus Visit Coordinator in the Admissions Office. Originally from Greenville, Ohio, she now lives in Huntington. Some of Nicole’s favorite memories of her time as a student are the field trips she took as an inaugural member of the Honors Program and two scholastic honor societies, Alpha Chi and Sigma Tau Delta. Nicole was also an active student in the Music Department at Huntington University and performed as a violinist in chamber orchestra concerts and individual recitals, including as a featured soloist in the 2018 Concerto Winners Concert. She continues to play with the chamber orchestra as a community member.